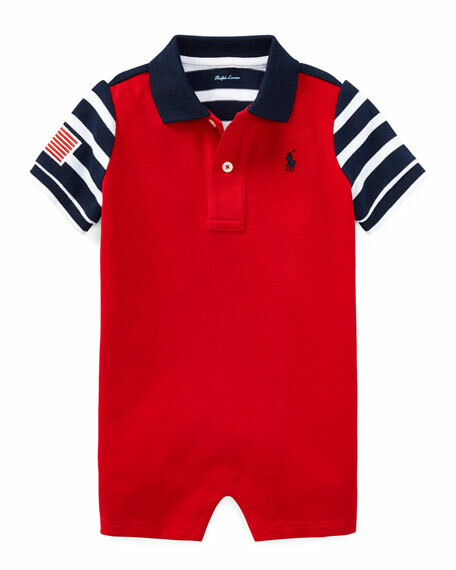 Ralph Lauren Childrenswear colorblock shortall. 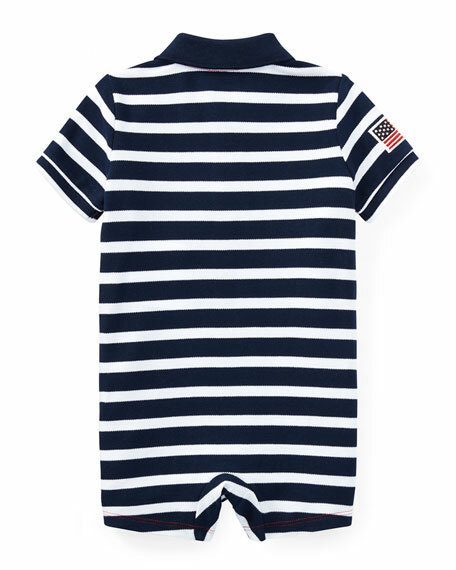 Solid front with striped back and sleeves. Contrast spread collar; button placket front. American flag patch at right sleeve. Logo embroidery at left chest. For in-store inquiries, use sku #2639064.